Rome, a city preserving the history of humanity, where every street corner boasts extraordinary artefacts, has recently become the hub of modern art. If you fear graffiti is plaguing this antique city, a tour of Rome’s vibrant street art will alter your perspective. 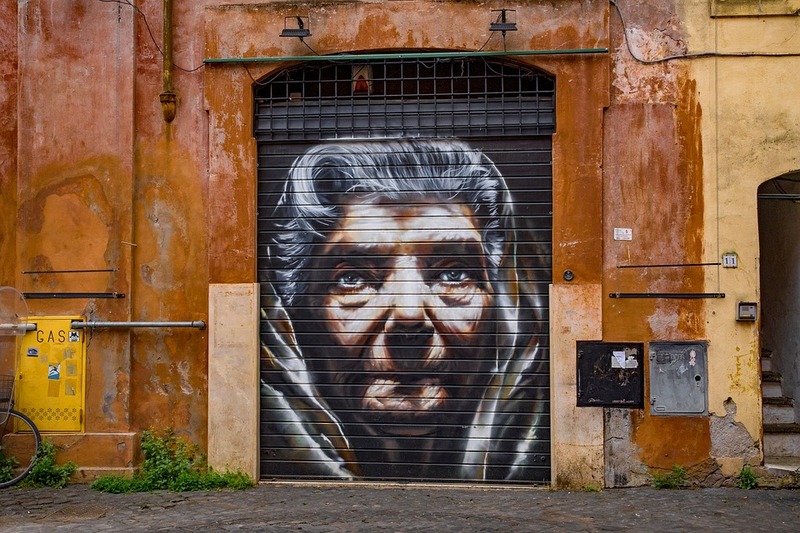 Rome’s exhilarating street art has gained international fame. It is rejuvenating the city by juxtaposing contemporary talent with ancient art. 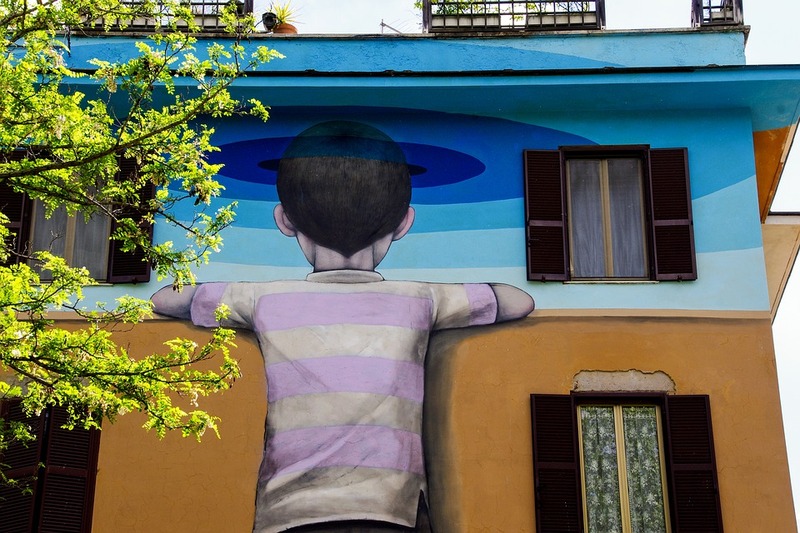 Rome’s street art is about free-expression and is rich with current social dialogues. Street art can be regarded as the modern version of cave etchings. It lends character to a blank and boring stretch of wall.Street art is like a breath of fresh air in our humdrum life! It is thought provoking, makes daily commute more interesting and helps residents remain spirited and inspired.Innovative ideas expressed using vivid colours fill a neighbourhood with contagious optimism! 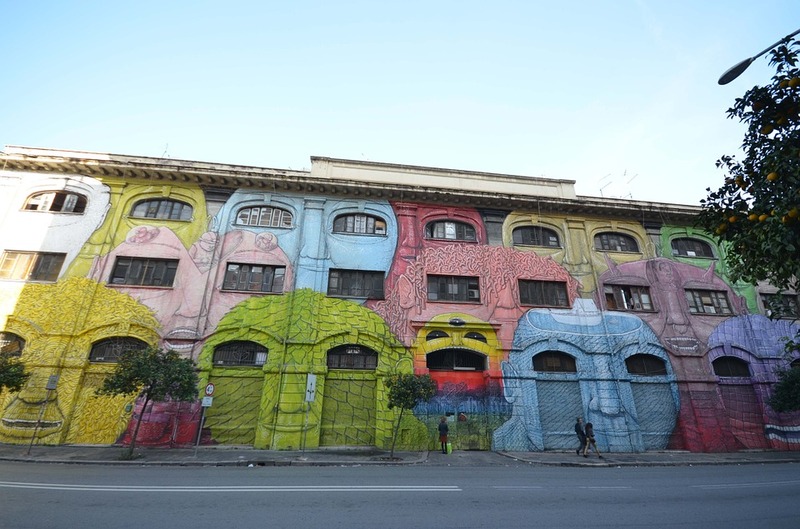 The Eternal City is one of the best destinations to explore exciting and stimulating street art projects. The streets are awash with remarkable pieces created by reputed artists – Italian as well as international. 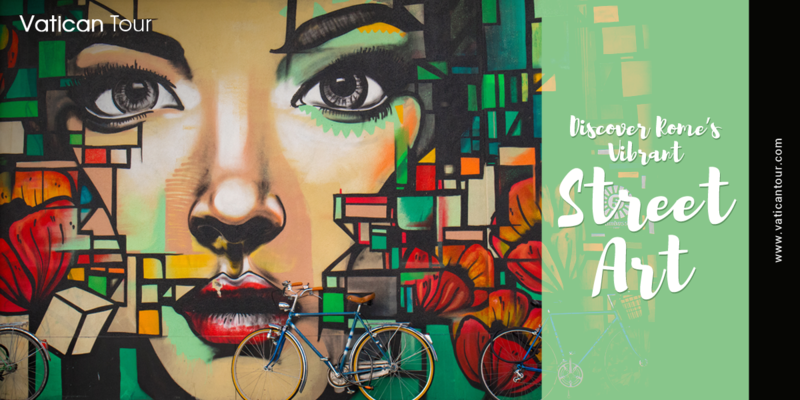 First-time visitors might be amazed by the great amount of street art they witness. New murals are being added every night in different parts of the historic capital. Although some of it is low-grade tagging, there are numerous places displaying street paintings of actual artistic merit. Public revival projects are drawing attention to the beautiful street artworks dotting this locality. Here you’ll come across Alice Pasquini’s murals – they’re attractive, feminist-themed and depict strong, self-sufficient women. The southern district Ostiense is home to the Centrale Montemartini and the Gasometer. Between these rare industrial relics, you can explore street art created by world-famous artists. Firstly, check out the huge mural by BLU on the walls of a former barrack. This piece portrays many colourful monsterfaces and the windows on the wall have been used as their eyes. The Fish’n Kids painting on the facade of the fish market by artist Agostino Iacurci is also very interesting. Another not-to-miss wall art is JB Rock’s Wall of Fame on Via dei Magazzini Generali. It is a 60-meter line-up of important personalities, like poet Dante Alighieri and painter Frida Kahlo. Popularly called the ‘’wasp’s nest’’ for being fiercely hostile to fascism and the Nazi’s during WWII, Quadraro is a wonderful neighbourhood to visit if you’re keen on seeing innovative street art. Since 2010, an independent group has been working to bring in popular street artists, thereby upgrading the neighbourhood to a public art museum. Some fantastic works to explore here are the Monster by Mr. Thoms, Baby Hulk by Ron English and Hornet’s Nest by Lucamaleonte. On Via Decio Mure, a monstrous face is painted at the entrance of a tunnel, which seems to be sucking everything into its dark interior. Baby Hulk is another mural with an amusing 3D effect. Here The Incredible Hulk is portrayed as a muscular baby ready to burst into tears and is accompanied by Mickey Mouse wearing a gas mask, highlighting the rising levels of pollution. There are many more intriguing murals hidden in residential areas you might not be able to locate on your own. If you need some expert guidance in exploring the captivating art of the Eternal City, get in touch with Vatican Tours. You can also discover the classical wonders within the Vatican City by opting for our Vatican museum tour. We provide packages that are easy on your pocket, but rich in terms of experiences and knowledge gathered.